When you have pinned so much on a resort it has to be right doesn’t it? 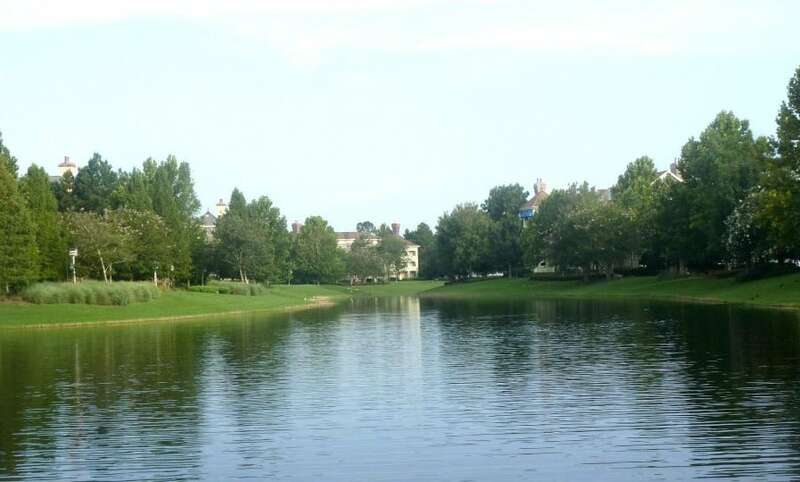 I had wanted to stay at the Saratoga Springs for quite some time; we had booked 18 months in advance. 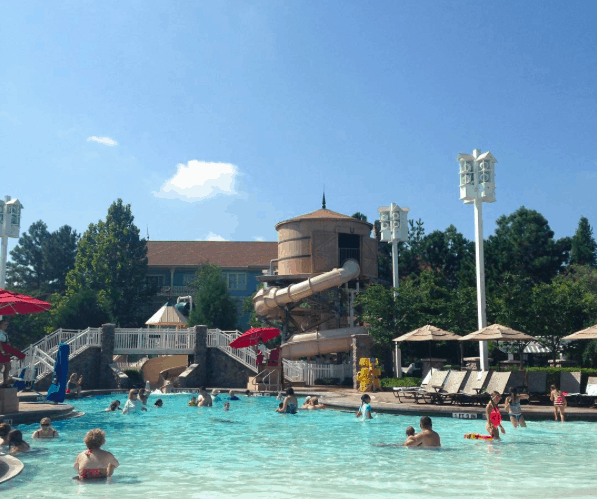 I wanted to share what is onsite for Families At Saratoga Springs Resort Disney. So to say we had built up huge expectations for our stay is an understatement. 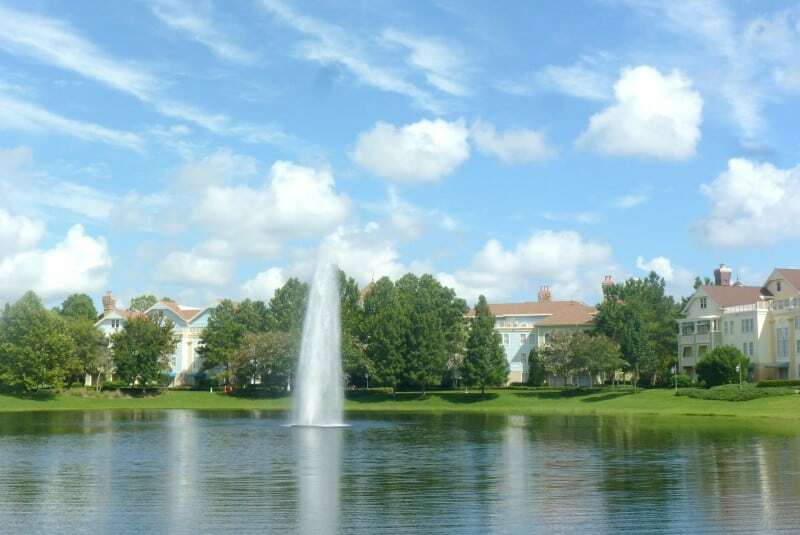 Here is our account of Living The Disney Life At The Saratoga Springs Resort and Spa. I am very relieved to say it did not disappoint we loved Saratoga Springs, for us it was perfect. Our villa was in the Paddock area, when I initially saw the location on a map my heart sank, it seemed so far away from the main building and pool. In fact it was an incredible location that if we visit again we will request, we loved staying in the Paddock. 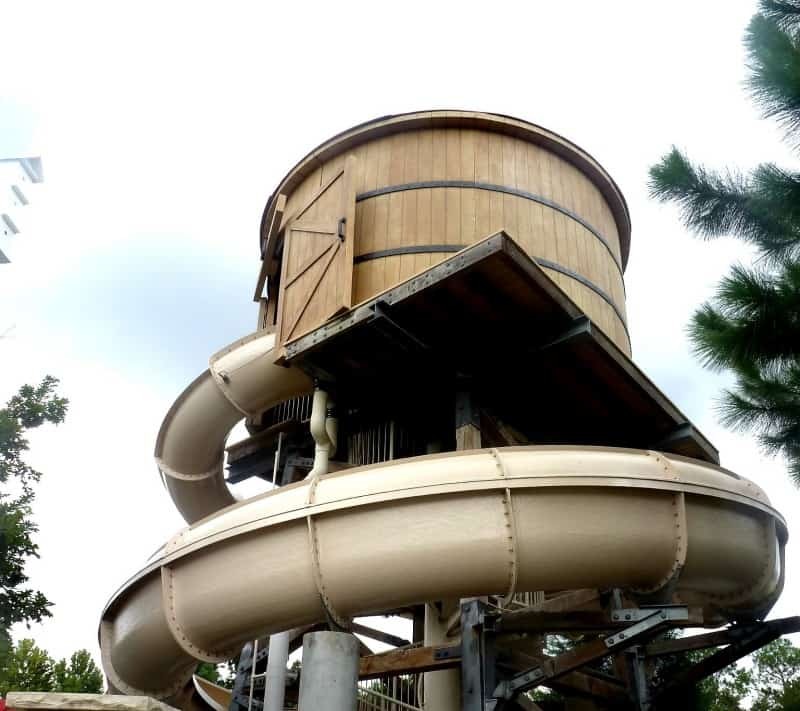 The wonderful thing was it consisted of 2 pools, an amazing toddler pool with slides, and a large pool with a big curly slide. And lastly I want to mention the transport; we were so lucky that there was also a bus stop located at the Paddock Pool, which was a second’s stroll from our room. 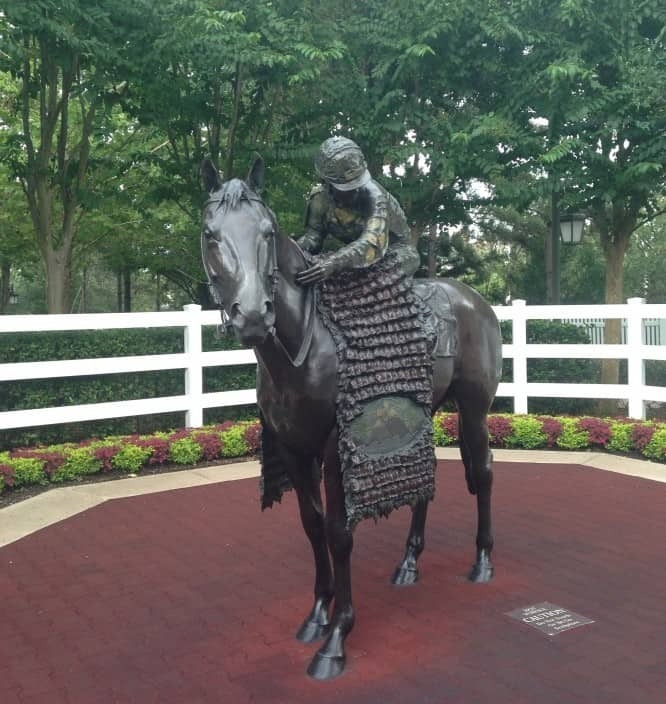 I mentioned in my last post the feeling I got when we first drove though those gates and checked into Saratoga Springs. 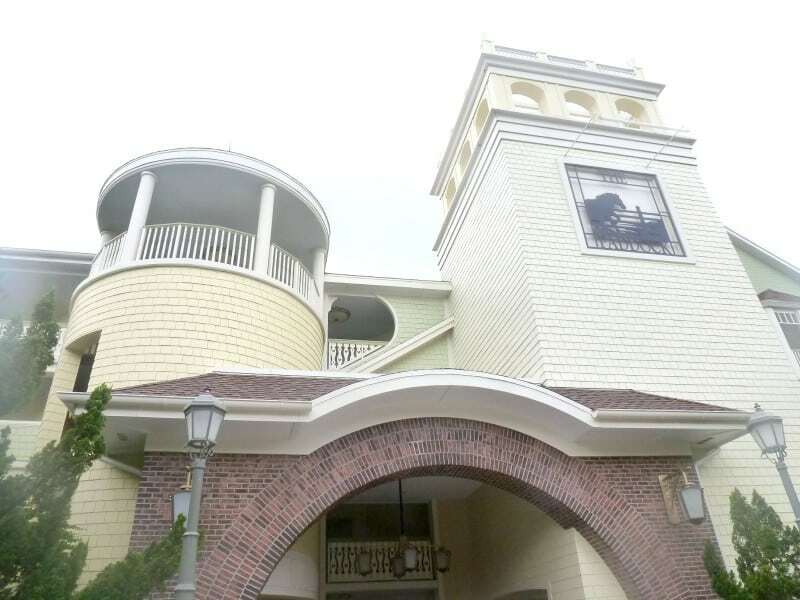 The resort in my opinion aims to be a tranquil home from home, an oasis of calm away from the mad but wonderful magic of Disney. And they most certainly achieve that in every way. I would say it was a 10 minutes walk up to the main pool, food court, bar, restaurant and water taxi dock. But this walk was such a pleasant walk through the most beautiful grounds that we began to love our evening walks. Part of the journey takes you across a huge lake on the prettiest bridge, which we spent quite some time peering over the edge of to watch the fish a turtles swimming up to the surface to greet us as we crossed. Kid you not; a family of turtles greeted us halfway across the bridge every day. The buildings that are scattered around the village are all painted in beautiful pastel shades of 19th century America, and really does make you feel like you are living in another era. 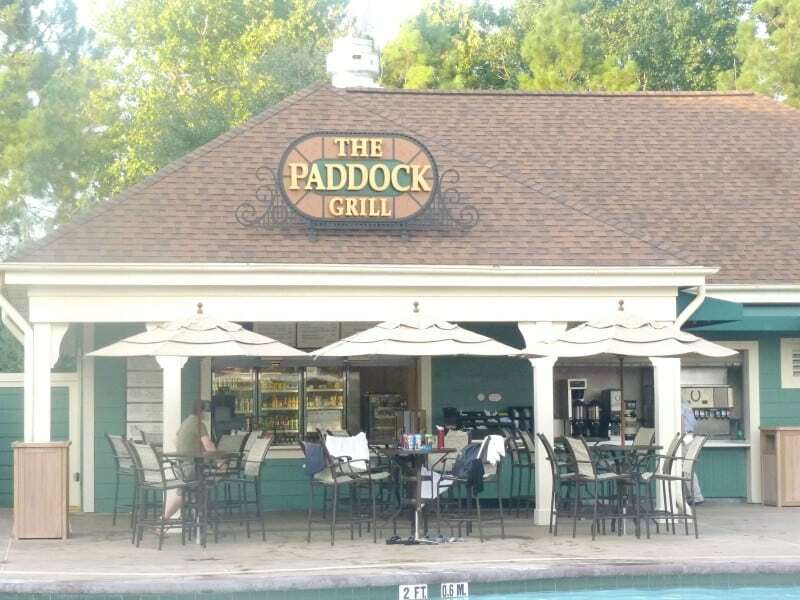 The Paddock Pool and Grill are fantastic. Yes, these are 4 other pools on site that all looked incredible but we loved the Paddock Pool, it was so close to our villa and had such a friendly bunch of people using it that we made this gorgeous spot our regular pool. Honestly I have no idea how many times Joe wend down the Paddock slide during our stay, he just loved it and made lots of friends that he could splash about with after a busy day in the parks. I can’t mention the pool without giving the wonderful staff a mention, the life guards, entertainment team who hosted pool games every afternoon, and the grill staff who served up delicious quick service snacks were the loveliest people who went that extra mile to ensure the atmosphere around the pool was a happy friendly environment. 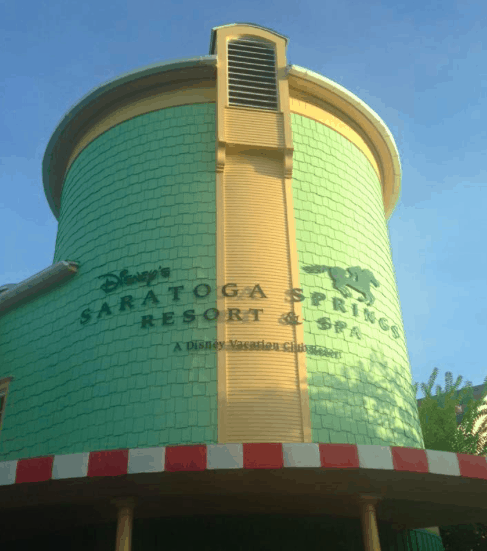 There was just so much to do on site, and my biggest regret is we didn’t get the time to see all that Saratoga Springs had to offer. We planned to take a ride on the 4 seater bikes, and visit the spa, when we checked in we received a full programme which included games, movies under the stars and sports. But when we were not in the parks we just wanted to chill and soak up the Florida sun or chill in the beautiful suite. Usually you only had a short wait for the correct bus to come along to take you to your chosen resort for the day. The buses take you to the bus stops at the gates of the parks, for us this was so much easier than driving and made the trip to much more enjoyable. Yes, there were times we had to queue but these were generally at park closing times and after the fireworks. 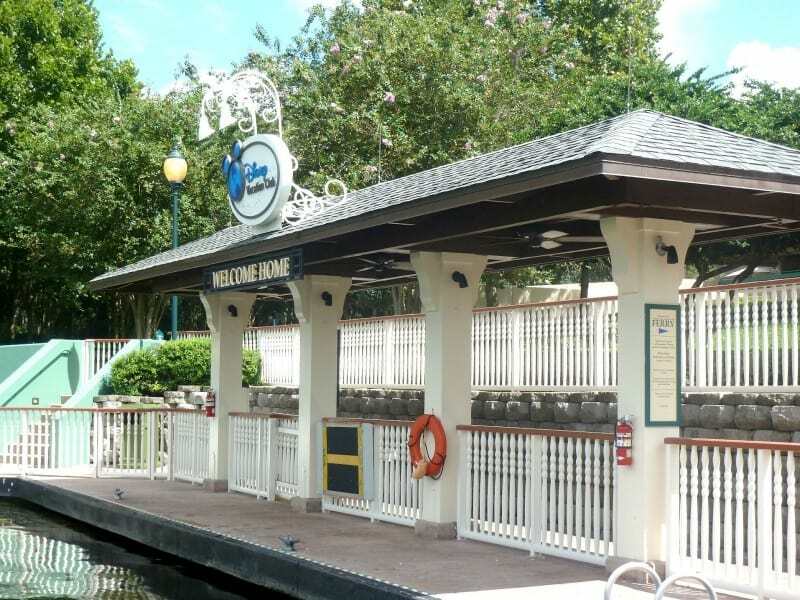 Visiting Downtown Disney was a joy; you had the option of getting the resort bus or getting the water taxi across the river. 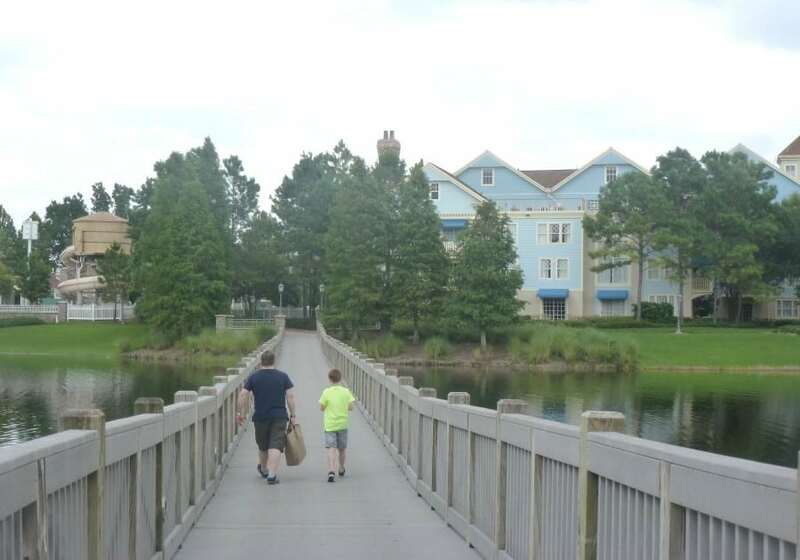 We just loved the water taxi, crossing the river in the evening felt so special, the view of not only the resort but also Downtown Disney was just stunning. So, would we visit again? Absolutely we loved Saratoga Springs we felt so at home there. The only thing that would stop us is the fact that I want to stay in all the Disney Vacation Resorts now. They all look so incredible. I think if you’re prepared for the walk it’s fine, and it helps to explore the resorts a little more. Oh Sarah, it sounds absolutely amazing. What age do you think it would be best to take the boys? They’re two and four now and while I have no issue travelling so far with them or even if they don’t remember the entire trip when they get older, I’d still like to wait until we can really make the most of everything. 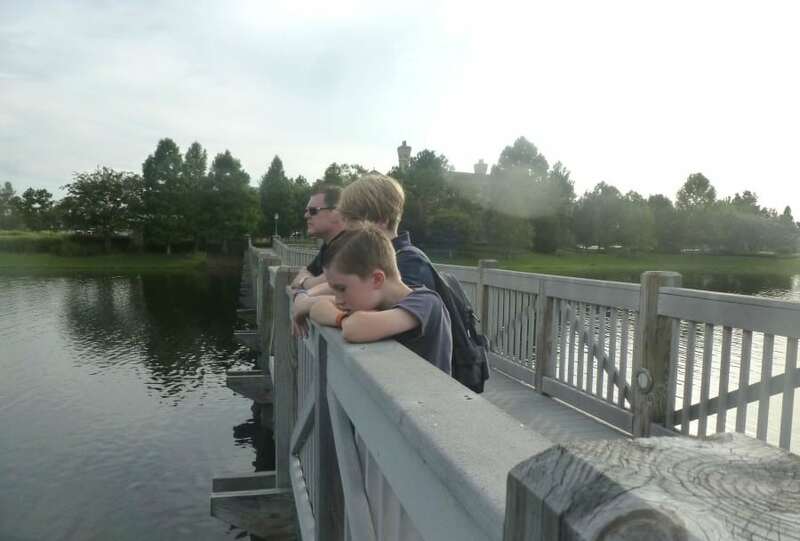 We once saw an Otter from that bridge over the lake – who knew they had those there?!?! I think I might have actually even SOL (that’s Squealed Out Loud) when I saw it, hehe. SSR looks like such a lovely resort. 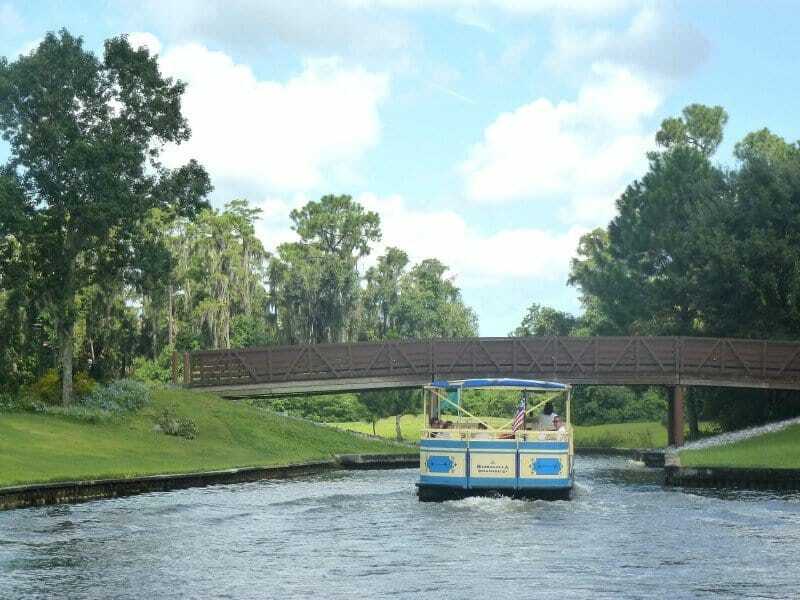 We stayed at OKW and took the boat to Downtown Disney, passing Saratoga on the way, I love the colours of the buildings – very pretty! 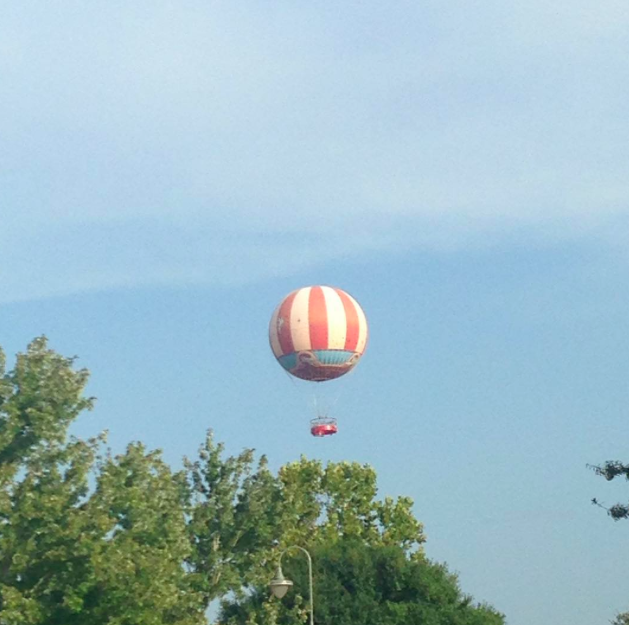 Thanks for sharing on #100DaysOfDisney!